We have talked about Trentemoller here before. I am a huge fan and consider him to be one of the best electronic music producers in the world. The latest release from this Danish artist came back in 2010. I will talk briefly about "Into the Great Wide Yonder"
As good as "The Last Resort" was, I felt that that album had a few minor flaws in that it included too many tracks, some of which sounded like filler material. No such tracks exist on "Into the Great Wide Yonder." Each of them is a gem. The latest album does something different for Trentemoller, treating fans with vocals. Often, vocals thrown haphazardly into an electronica track sounds forced, uninspired and dull to say the least. Trentemoller mixes it up nicely here with some lovely guest female vocals that are soulful and serene, adding a complex layer of melody to the synth and sample sounds. This aesthetic was a smash hit for me, as Sycamore Feeling and ...Even Though You're With Another Girl are spectacles in their own right. These two tracks in particular are at the same time danceable electronica tunes and easy to sing along to. This is an addictive release. Trentemoller includes samples from numerous instruments in this release, even adding a flavorful pedal-effect guitar tone using the whammy bar and heavily drowned in reverb textures. I know I'm at risk of sounding like a huge hypocrite by saying this, but I wish this album were longer. It ends far too quickly. 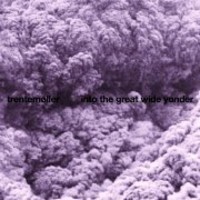 Another thing I hope for is a brand new Trentemoller release in 2013. As far as electronic music goes, he is simply as good as it gets. Below are a few tracks smashed together in one soundcloud sample. I also added ...Even Though You're With Another Girl because you just have to hear it. As always, thanks for reading and enjoy! !